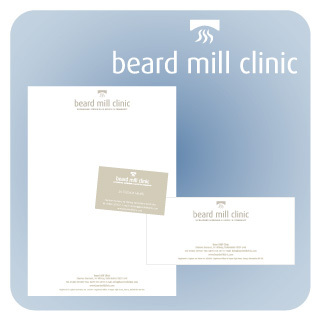 Beard Mill Clinic provides ulstrasound scanning using the most advanced techniques and the latest 3D technology. It is located within a restored water mill in a beautiful rural location. The client wanted an identity that not only identified the building but also demonstrated a calm, natural ambience through colour.